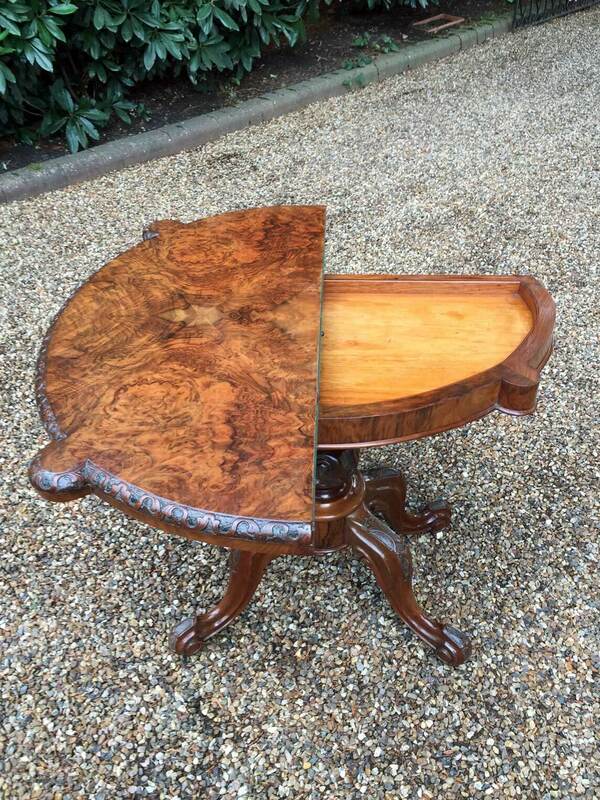 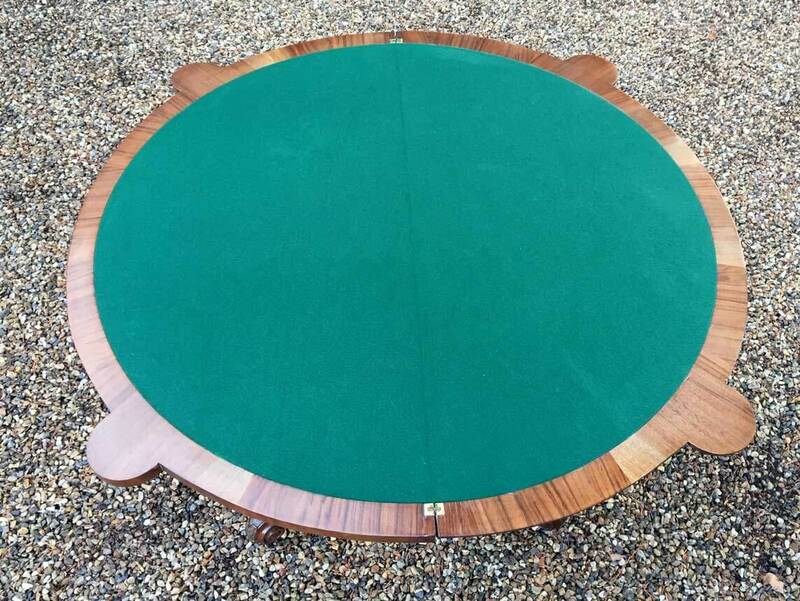 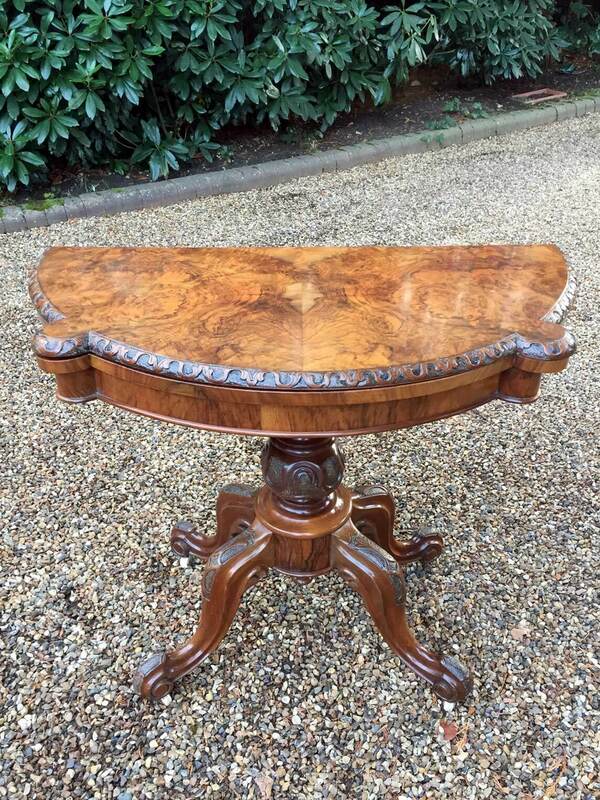 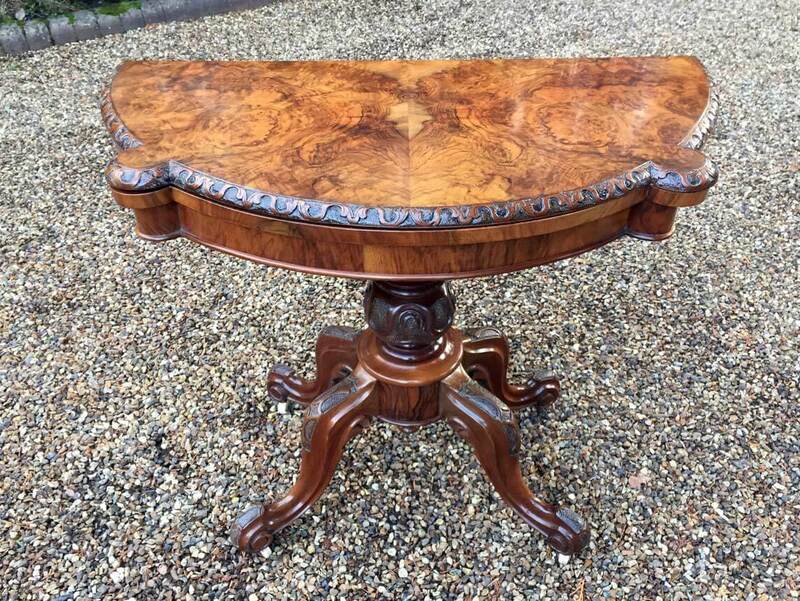 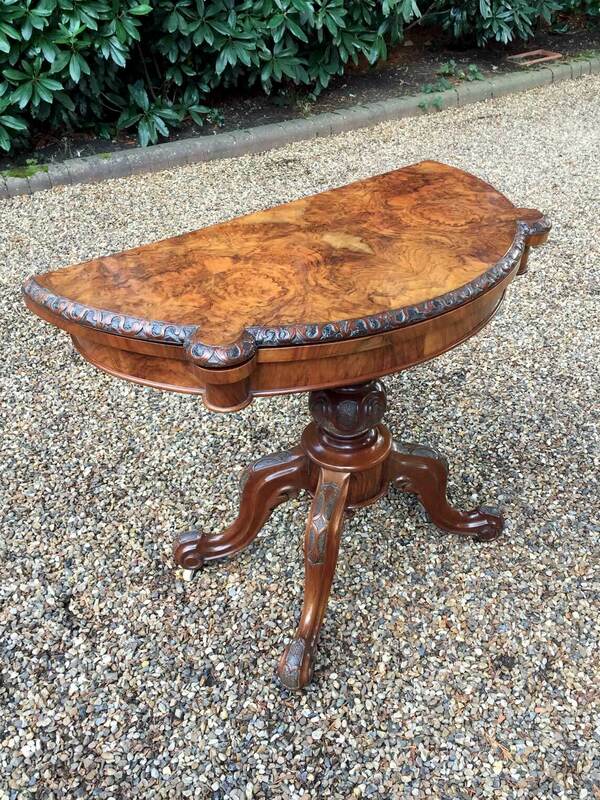 A beautiful 19th Century Victorian Burr Walnut Demi Lune Card Table of exceptional quality and condition. 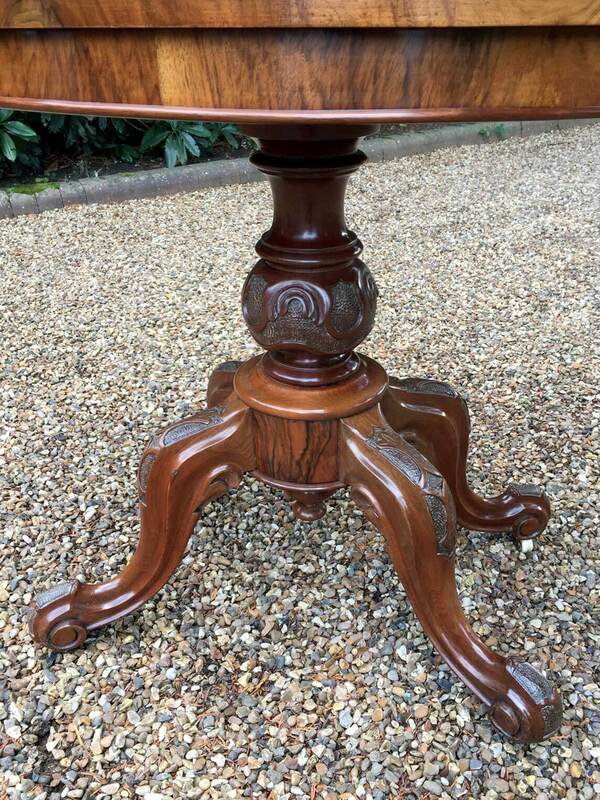 The turned and carved column supports, four well carved and shaped cabriole legs with the original castors. 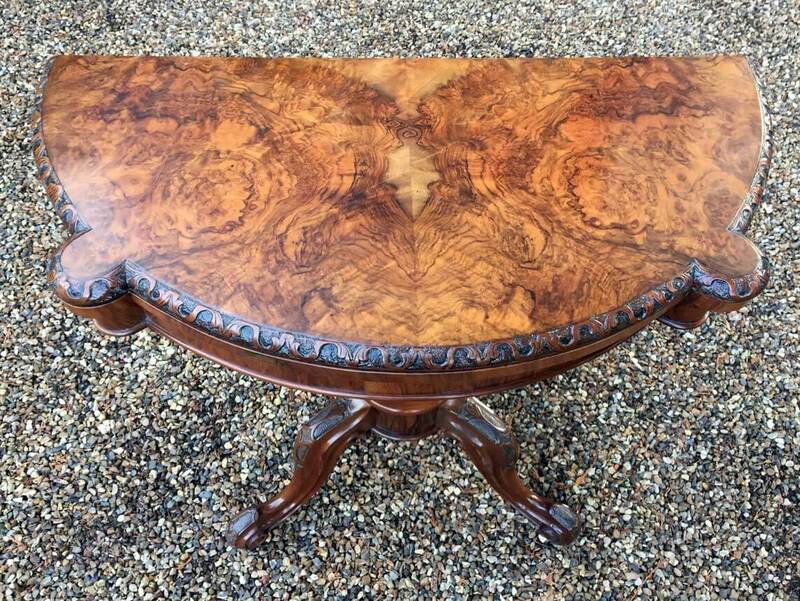 The burr walnut underfrieze and top are complimented with a carved edging that really sets the piece off. 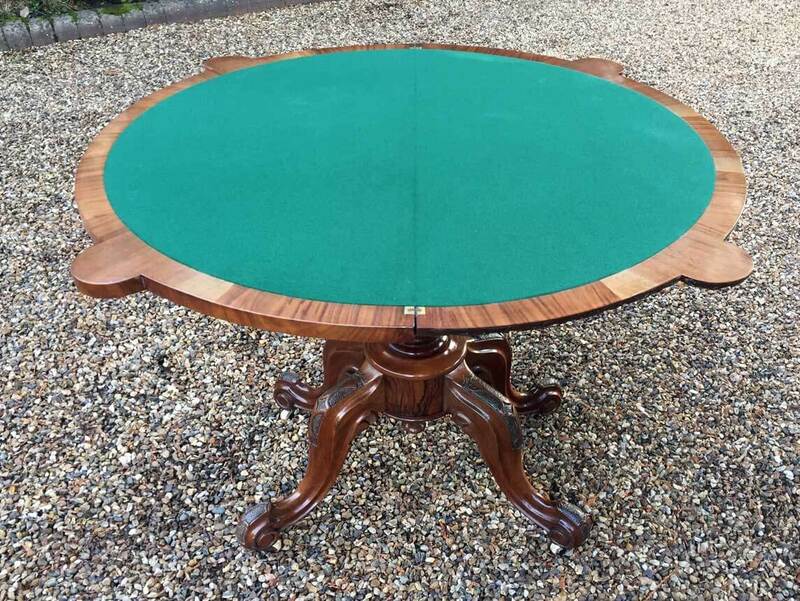 The top rotates by 90 degrees and unfolds to convert to the card table with green baize.